This podcast is a must-listen for anyone running a healthcare IT company. Nirav Modi, President and Co-Founder of Carium, shares the opportunities he sees in the healthcare sector – and the challenges faced by any healthcare tech company. Nirav is a dynamic leader and technology strategist. He manages Carium’s overall strategy and day-to-day operations. He is passionate about enabling better healthcare experiences for patients, providers and payers alike. Carium’s mission is to enable great quality of life through individualized healthcare and striving to make each health journey the best it can possibly be. 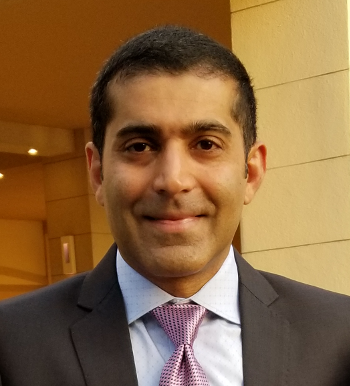 Find out why Nirav thinks innovation from the telecom industry can be used to create a patient-centric approach to healthcare data. Here we talk about issues of scalability in a world where health systems all vary. See why Nirav feels positive about health systems and their ability to embrace technology. Lastly, we explore the issues of getting resumes from a diverse pool of candidates. Discover why Nirav believes a diverse team is instrumental to success. Jennifer:	00:03	Hi everyone, I’m Jennifer with Michelle Marketing Strategies and today on Healthcare Lead Generation, we’re talking with Nirav Modi of Carium. Nirav Modi is President and Cofounder of Carium. He’s a dynamic leader and technology strategist. He manages Carium’s overall strategy in day-to-day operations. He is passionate about enabling better healthcare experiences for patients, providers and payers alike. And Carium’s mission is to enable great quality of life through individualized healthcare and striving to make each health journey the best it can possibly be. Nirav, welcome. I’m so glad to have you on the podcast. How are you? Nirav:	00:40	I’m well, thank you for having me. I’m really grateful for the opportunity to have the conversation and learn more about what you do and share a little bit more what we’re exploring in healthcare. Jennifer:	00:53	Absolutely. I think it’ll be a lot of fun. I know you’re very active on all the healthcare chats on twitter, so I know you’re very, very interested in all the different things going on in the healthcare world and the different challenges that are facing it. So we’ll dive into all of that. First of all, since I know your background is actually electrical engineering and, in fact, you went to my alma mater, you went to the University of Minnesota. Jennifer:	01:22	Yea, go Gophers! I would love to know a little bit about how you made that jump from electrical engineering into healthcare. Nirav:	01:28	Sure. Jennifer, we, you know, the founders and I, the founders collectively, have had a history of innovation in the telecom space. So my background is in electrical engineering, you know, both from an Undergrad and Master’s perspective and I spent the first part of my career innovating in telecom, both software and hardware and, you know, late last fall, we sat down and kind of thought about what part of our life experience doesn’t feel as technologically progressed as other elements of our life experiences. And we, you know, we’ve all experienced healthcare either through our own, you know, encounters or through family or heard stories from friends. And we realized that the healthcare experience just wasn’t quite as seamless and as frictionless as it could be from, from a, from an individual’s perspective. And so we thought, well, given our backgrounds and our skills, can we, can we find a way to be helpful in healthcare? And you know, that’s really how we got started, was just fundamentally thinking about, look, we’ve got a lot of expertise in technology. Can we find a way to help the healthcare industry to take advantage of those technologies in a way that is helpful to all of the parties in the ecosystem and, you know, address all the elements of the ecosystem that we know collectively are, are facing what challenges to some extent or the other. Jennifer:	03:03	So tell me about opportunities you saw as being ones that your, your telecom expertise would have been, you know, that you could focus on because of that. And what were the opportunities that kind of leaped out at you? Nirav:	03:15	Yeah, that’s a really interesting, interesting question. You know, when you think about it, when you think about a networking background, like in telecom, networks are comprised of lots and lots of independent networking elements like routers and switches and, and modems and things like that. And all of these devices are interconnected. And all of them are spewing out data and then there is typically software those above that that are monitoring and managing each of these individual network elements that are, that are generating data about their health or about the network or about the link or the fiber or what have you. And as we, as we looked at healthcare and we thought about the rise of wearables and the rise of all of these forms of very individual specific data like genetics, and, and obviously personally generated if remote monitoring and wearables and so on, we really thought that there was an element of data consumption and crunching and that we could, we could apply those skills to. And then obviously our broad background in building very large complex software systems that manage, you know, very large networks. We thought the combination of these kinds of trends in healthcare and there analogous equivalents in telecom gave us kind of a footing that we felt was relevant. Jennifer:	04:37	Okay. No, I, I see that. So, help break that down for me on a more specific level, like if I were running a health system, what are the specific things that you’re thinking that you guys can now tackle because of that expertise? Nirav:	04:51	Yeah. So, you know, I think when you, when you look at a telecom, when you look at a telecom environment, there’s lots of disparate systems from disparate vendors and there’s lots of data that needs to be unified and coalesced. And so there’s this whole element of yeah, you’ve got lots of data, but can you turn that into information and insights? And when you look at what’s going on in healthcare, you know, the whole migration to EHRs is, is, is very new. I mean, and by new, I mean it’s the last five to eight years that we’ve really seen the ramp of digitization of records and now you’ve got all of this data across these disparate and fragmented EHRs and other back office systems. I think we have the ability with our, with our work that we’ve done in telecom to really drive this data towards something that’s a more unified data model that is focused on from our perspective the patient and we’re taking a very, very patient-centric approach because really we believe that if we can put the data in the context of the patient and everything relevant in the context of the patient, then you have the ability as a provider to really treat that person versus deal with data that’s fragmented and fractured and not available. So I think the whole data and bringing data together is one element and I think that’s absolutely an opportunity that we have collectively in healthcare. You know, there’s a lot of work going on at the policy level with Meaningful Use now being kind of relabeled as promoting interoperability. I think, so I think just getting the data coalesced into something more unified is going to be a really, really important challenge for us collectively. And I think that’s going to lend itself to a bunch of innovation on top of that, that you know, is going to be really exciting for healthcare at large. Jennifer:	06:47	I’ve got a question for you on that. I definitely see anything that brings the data together, sort of talking about all the data in different places. I saw exactly why immediately that was going to be useful in healthcare because it’s the exact same situation. Talk to me more about a patient-centric approach to data. How have you envisioned that? Nirav:	07:09	Yeah. So I think, you know, I think getting the data unified is important. I think that that’s going to happen naturally just with the evolution of the industry and there was this, there’s more awareness than ever about needing to do that and I think we’re at the right place, but at least it’s all digital in the context of an EHR. And now we have a foundation to build the next layer collectively as industry. Not specifically, necessarily as Carium. I think the value that you can do on top of that, you know, which is where this individual and individual-centric piece comes in, is now you have the abilities to really think about treating the person in a holistic way based on their longitudinal patient health record. And you have the ability to apply learning clinic and drive clinical pathways based on their unique self. Right today, the way we treat people is we have these very broad buckets, right? Nirav:	08:07	Like I got this bucket is your male or female, right? And then there’s sub buckets, okay, your’re, you’re under 20 or you okay, you’re under 40 or you’re over 50 or you know, we have these very broad, broad buckets that we treat people in. And then we do that somewhat in a silo because you don’t necessarily know that person in a holistic and deep way because their data is fragmented. I think the ability to get all of this data together in the context of an individual. So, hey, look, I’m near, here’s all of my medical data, here’s all of my encounters. Here’s my, here’s data from my wearables. And so on, I think now you have the ability to build a view of an individual that is absolutely individual, right? It’s not just the standard lipid panel that everybody can go get, but it’s my lipid panel, my heart rate over time with, with my DNA and now you can do things that are very, very uniquely individual. And there’s, I think we have an opportunity to do that both from the feasability of data but also because, and the technologies to support generation of that data and the cost curves associated with those, but also because of the computing technology that allows us to then find interesting patterns in that data and insights and so on. Nirav:	09:29	Right. And that’s helpful to a provider, you know, to guide them towards diagnoses, but they’re also helpful to an individual to guide them towards better health decisions. Jennifer:	09:39	No, I think that’s amazing. And I love the way you are taking something as big and maybe generic sounding as telecom and pulling it into such a very patient-centric approach. I think that the uses for that will be amazing to see in healthcare. Nirav, that I think is a fantastic Part One for us. Let’s come back in Part 2 and talk more about healthcare challenges. Jennifer:	09:39	Is that good? Awesome. Okay. Jennifer :	00:03	Hi everyone, we’re back on Healthcare Lead Generation. We’re speaking with Nirav Modi of Carium. This is Part Two and we are talking about some of the challenges facing the healthcare IT sector and specifically how Nirav, with his background in electrical engineering, thinks you know we can approach them. Now, in the first part we talked a little bit about interoperability so maybe we could start there, Nirav, and just kind of expound on where that goes. Like what’s the next challenge besides that one? Nirav:	00:34	That’s a great question and topic. I think interop is going to become more and more prevalent just by the nature of how technology progresses. I think we’re seeing some of the challenges we are today because it’s relatively nascent in terms of EHR adoption and now there are people running against the clock to make certain milestones in the Meaningful Use criteria and such. I think where there is a very specific focus now being applied to it and the spotlight being being shown on it. We have the foundation to really do something meaningful. I think that where we, where we will collectively run into challenges as innovators in healthcare IT is, just how do you enter into a healthcare organization in a way that is, that is meaningful and how do you make that entry scalable and repeatable because there are very specific workflows, very specific practices, very specific types of healthcare organizations and approaches that vary. Quite differently geographically and even within competing healthcare system. So I think just trying to, trying to enter the market and be successful where you don’t end up in this very long tail of customization on a per healthcare system basis, I think that’s something we have to give a lot of thought to collectively as an industry. I think that’s probably, you know, as a new entrant to this space. I think that’s something I think about a lot. Jennifer:	02:13	Let me ask you something about that because I think you’re onto something. The scalability is an issue and I’ve seen technology companies and healthcare sometimes struggle with how much time it takes to implement something that maybe in other industries was pretty straightforward. How do you think, you know, healthcare IT companies can approach that because that, you know, that can really affect their implementation turnaround. Nirav:	02:37	I think the, what we, what we fundamentally believe is that there are technologies available today that enable much faster development and implementation cycles. I mean, you know, with, with, with cloud-based services and a lot of software that now can be driven, that can be written in a data-driven way, I think you have the ability to inherently make software much more modular and therefore more adaptable. And that’s something we’re very mindful of in our background and in working in these large network operator, back office systems, IT systems lends itself. There are a lot of parallels to what we’ve kind of done in that space too what is, what we’re discovering in healthcare. I think then there is the … there’s the additional, I think from our perspective of mindfulness just about, about security and compliance in a healthcare setting. I mean each industry and vertical have their own set of rules and regulations about, about security and where you can store data and the movement of data and liquidity. Nirav:	03:44	And I think healthcare has its own set of requirements and policies and regulations. And I think it’s, we, we’ve all got to collectively just evaluate, you know, did, does what we do 10 years ago makes sense today and do the rules and regulations and policies and behaviors that we’ve kind of accepted as the norm because of what technology was able to do 10 years ago, do they apply today? And so we’re very cognizant of that. And you know, you had mentioned earlier that I tend to be fairly active across the spectrum of healthcare conversations. And I think for us, you know, our, our fundamental goal is to find ways to be helpful and help the healthcare industry adopt technologies to move forward. And that part of that we consider our responsibilities to educate, right? Like how can we educate people to not be afraid and to embrace technology? And we do that in two fronts. One is through education as one is through leadership by showing the power of how technology can enable that. So we’re doing it and we kind of, we take a very broad approach to, to how we go about what we do. And I think we’ve all got to do that as an industry. Jennifer:	04:53	Well, let me ask you about that because healthcare does not have a good reputation for being very technology forward and there can be a lot of resistance at different levels. You know, usually the, you know, the people in charge of the IT love all the latest things, but the people actually running the health systems are not familiar with it. And oftentimes the providers using it, though that is slowly changing, but they are often very nervous of bringing in any new technology. How do you think people can tackle that? And do you feel that that’s starting to change or do you feel that’s got a long road ahead of it still? Nirav:	05:30	Yeah. You know, it’s been interesting what we’ve been learning, you know, over our own journey at Carium. I think that there is definitely, there’s definitely a little bit of reticence about embracing technology. And I think because, actively, that the EMH/EHR workflows have felt intrusive to what doctors feel was fundamental to why they became practitioners, which is to, to really embrace and engage the patient and the individual. And I think there is this overarching theme that now they spend most of their time typing away at keyboards and entering notes and entering codes and it’s very much driven by compliance versus as a means to just capture what they would have otherwise put on paper, capture that in a seamless way in electronic format that could then be searchable and give you all of this power of digitization and digital health. And I think, so, there is a reticence because of that. Nirav:	06:37	Having said that, what’s really been encouraging to me is I think, and I’ve, you know, I’ve been to several conferences. I was at a Stanford Conference about a month ago and they were, there is a palpable energy in the room from … actually physicians and practitioners are saying, look, we were in this place that doesn’t feel great in terms of how we are using technology. And you know, how we got there is important but doesn’t, doesn’t get you where you’re trying to go. So I’m seeing, I’m seeing a definitive mindset shift from the provider community. So look, yes, we’re not where we would ideally like to be from an embrace-and-use-technology-to-help-everybody perspective. But let’s, let’s get there. Right? And I think because I think collectively the opinion at large is, it’s not ideal at all and so, but it’s not going to get there unless, unless people actively are engaged in forging division and the solutions that they think they would like to have. And I’m seeing that, I’m seeing that much more clearly, even over the last couple of months than I was seeing when we first began our exploration into the space. And I think that’s very encouraging and I think that’s from my perspective. Jennifer:	07:57	That is very encouraging. That is. And we do always have to keep in mind that the things that work so smoothly now, they didn’t start that way. So we have to allow healthcare tech to have that same learning curve. Nirav, I think that’s just so helpful to have that perspective on it. Thank you so much for talking with us. This wraps up Part Two. Let’s come back and talk about diversity in hiring for healthcare tech companies. I know you have some thoughts on that, so I’ll see you in Part 3. Nirav:	07:57	Sure. Talk to you then. Nirav:	00:42	Sure, Jennifer. I think, for us, as we thought about building our team and we thought about what we were trying to do, which is help individuals right at their very core, it became very obvious to us that, to have the broader set of perspectives reflected in what we’re doing. We need people with a broad set of perspectives, right? So I think it was very obvious that different people with different upbringings, whether genders, nationalities. I think the whole, the whole spectrum of, of diversity and background and context is only going to be helpful, more helpful for us in terms of getting to the core of what we’re trying to do. And, and so we were very aware early on that we wanted to, , encourage and embrace and proactively build a team that was broad in its set of experiences, personal and professional. Nirav:	01:48	And, and we also think about diversity beyond gender and ethnicity. For us it’s also about diversity in terms of who we are as humans. You know, patient perspectives, provider perspectives, caregiver perspectives right? Care perspectives and then diversity of people in tech. I mean, so to me it’s the, it’s really a diaspora of skills and a context and the ritual or fabric that the more likely the solution we end up with being able to cater to the breadth of all the individuals that we’re trying to help. So that’s, that’s the approach we took, Jennifer. Jennifer:	02:34	So I think that’s so true and we see it time and time again where because an organization or even a technology was developed in a more limited group of people, it doesn’t apply as well in the circumstances people are hoping. And so I think it is wise to do that from the beginning. How do you think that that is being received now? Because I know tech has been talking a lot more about – like Silicon Valley – talks a lot about diversity and we so far haven’t seen a lot of that coming out of there, but they’re at least finally aware of the issue. How do you feel that’s showing up in the healthcare world? Are people aware of it? Is it something that people are embracing? Nirav:	03:14	Great question. I think from our perspective we are, you know, we’re cognizant where we have a strong intent. We’re pursuing that through a variety of channels and I’ll talk a little bit about that here in a second. , you know, I think there is a general awareness that it’s important to have diversity of thought and opinion and gender and all of those metrics, you know, across the tech industry. We have, what we are trying to do is not to go meet some criteria, right, that we’re diverse, we’re doing it because we fundamentally believe it’s instrumental to our success. Okay. And then, having said that, we’re also doing it because we think it’s the, the people of different, different backgrounds are going to bring very unique skills that are really important to us as well in terms of what we do and how we do it and when we do it. Nirav:	04:11	And the way we’re going about it is, is twofold. One is obviously from an outreach perspective, we’re trying to hit a variety of different recruiting vehicles. You know, whether it’s the traditional job boards, but we’re also using job boards that are, for example, the Society of Women Engineers and things of that nature to encourage women to apply. The other thing I’ve been doing is working with Jennifer Dennard of Health IT Chicks. So the hashtag is #healthitchicks and, you know, she’s cultivated an amazing community of women in health IT. And for those that are listening to the podcasts that aren’t a part of that community, definitely look them up on Twitter and on Linkedin and join. You know, Jennifer is doing an amazing set of work around encouraging women to support each other and provide a network for women to grow and thrive and build their careers in health IT. Nirav:	05:11	So I’ve done a lot of work with Jennifer to support what she does and her community. And as far as what I see at large in tech, we do see, resume flow being a challenge. So we have a strong intent, but we can only hire talent when we get resumes. And so that’s a constant conversation I try to have is, hey, how do we encourage resumes? How do we make sure we’ve got resume flow so that we can actually do the hiring? And that’s still work that we’ve got to collectively do. And I’m always open to ideas on what that looks like. You know, one specific conversation I had with Jennifer and some of her community was, look, as a company. What kind of attributes of the company or benefits or work environment make a job more interesting and amenable for, for women, whether they’re working mothers or remote or whatever it may be, right? Whatever your criteria are, whether it’s a cultural criteria. So we’re trying to be really cognizant of all of these different fronts and you know, we’re hoping that that sets the tone and ultimately leads to us building a team that truly is reflective of our culture and our intent. Jennifer:	06:27	Well, I think that’s amazing and actually Jennifer Dennard will be coming on the podcast soon. So I, I think she’s amazing and I think working with her and all of the Health IT Chicks is a great approach to this. But I think what you said is that, fundamentally, that Carium believes it’s instrumental to your success. And I think that’s the hurdle. I think that’s the key part is too many, I think still believe it’s just something nice and people are just being, they’re just trying to be politically correct. And the reality is, especially as the world becomes more, you know, interactive from one place to another because of globalization, I think if you don’t see that that diversity is going to be instrumental to your ability to reach your consumer, for your ability to create stuff that is resonant for them, I think you’ll be missing the boat. Jennifer:	07:21	So I think that’s, that’s fantastic. That’s very cutting edge to already see that. And I’m hoping more and more companies start realizing it’s not about being nice or PC. It’s about your bottom line. Jennifer:	07:35	I mean, I know you care more than about that. I’m being more cutthroat about it, but I think in the end that’s what’s going to turn the tail on it. It’s literally when people start realizing, no, it’s actually for your own good to make your company welcoming to all. To make it, you know, your products and services available and resonant. Nirav:	07:52	Yeah. There’s no question about that in our eyes. I mean, I think it’s important to be fair and all of those kinds of elements related to diversity. But I think for us it’s beyond that because we do believe that having that diversity of thought and opinion is going to be fundamental to our success as well. So for us it’s, it’s there, there is the social element of being fair and being just. And then there’s also the business element of we know our product is going to be that much better if we have diversity of thought at the table. Jennifer:	08:23	Yeah. And I, I think that we will start seeing true change when more and more people start realizing that because I think that is the essence of, of how to approach it. I think that’s exactly it. In any event, Nirav, it has been such a pleasure talking to you. I know this is Part Three and I know we’ve got to wrap up, but I always like to ask, and I know I asked you this before you came on, what is your favorite book? And you said When Breath becomes Air by Paul Kalanithi. I know we only have a couple more minutes, but I’d love to hear more about why that book is so fantastic and what you like about it. Nirav:	08:58	Sure. Jennifer. So, you know, I, I tend to read a fair bit and I read a mix of fiction and nonfiction and sometimes about tech and sometimes something completely adjacent. You know, I read When Breath becomes Air probably middle of last year and I think it was really important to me because we often get caught up in the hamster wheels of our, of our lives, whether it’s our jobs or our families or our caregiving for, you know our parents or such. And we, we stop living in the present and in the moment. And you know, there’s been a variety of titles that really talked to you about being very present. I think When Breath becomes Air particularly resonated with me because of, you know, the author’s writing style, his very specific story of being in … and I don’t want to give any spoilers away. Nirav:	09:53	So, you know, I think it was just, I think it was really, it really helped me stay very grounded in making sure you’re making the most of each moment and whether that’s each moment that you have to do something useful at work or outside of work or with your family or friends. I think it’s just really be present. And I think that, you know, as, now that I’m in healthcare and I look at that and I look at the impact of, of medicine on, on Paul’s life as he narrates his story, I think it just empowers me personally even more or energizes me to help make a difference because, you know, these are real people, real humans, and if we can help make their lives better through, through better medical care or the right care at the right time, then then why wouldn’t we all want to go do that? So for me, it’s, it’s really important in the context of what we’re trying to do and, and also very personal context about, about just really being present in our lives in every moment. Jennifer:	11:01	That’s fantastic. I think we should all check that book out, so I’ll definitely put that in the descriptions so everyone can find it. Nirav, thank you so much for sharing your thoughts and your insights with us. For everyone listening, you can learn more about Nirav’s work at Carium.com. That’s C-A-R-I-U-M dot com. And to learn more about lead generation strategies for healthcare companies, visit MichelleMarketingStrategies.com. Catch you next time. Nirav, thank you so much.